Pocket Passer QB’s natural, fluid throwing motion allows you to hit any target on the 3D field. Fast swipes for bullets, smooth slow swipes for lobs and bombs. There are no preset throws, no auto-aim, only natural throwing. With a little practice you will find yourself hitting 30-yard strikes between defenders in no time. 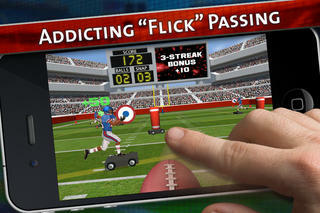 Pocket Passer QB is a truly addictive game of skill that you will find difficult to put down. CAREER: Unlock 15 difficulty levels by winning trophies and scoring big. Every ball counts as each level consists of 10 snaps with 4 balls per snap. Target selection and precision passing are critical to advance. Hit the Hail Mary in the end zone for huge bonus! SURVIVAL: Start with 4 balls and see how long you can last as the game progressively gets more difficult. Bonus balls awarded for longer passes, accuracy, and streaks. Hold the ball too long and get sacked. FRENZY: 90 seconds to throw unlimited balls and achieve the highest score possible. 5 Different skill levels to play on. PRACTICE: Sharpen your skills and relax a little with some therapeutic flinging of the ball. 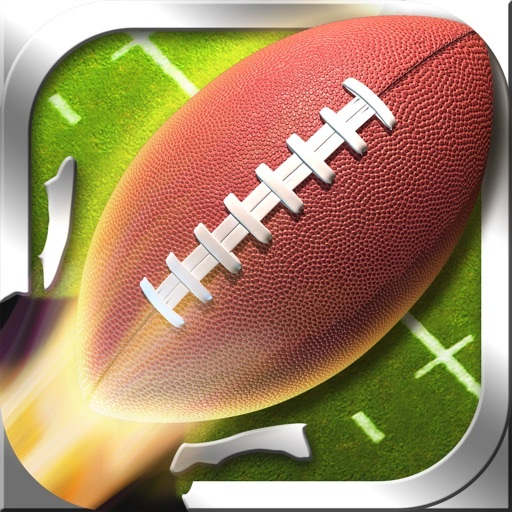 Show the world your passing skills with 54 achievements and 22 leaderboards. The new interactive training mode will help you learn to throw deep bombs and short lobs by showing you where and how fast to swipe. Pocket Passer has detailed stats of your current game as well as your entire career. Player profiles are simple to create/edit and delete. Looks and plays great on iPhone, iPad and iTouch. If you enjoy the thrill of connecting the long pass, Pocket Passer QB is for you.